inspection, Stockton’s Pete Anderson Jr. was named the winner. 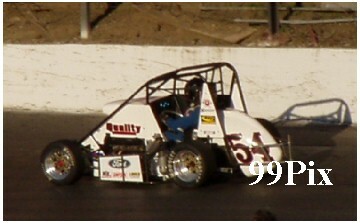 division at Stockton 99 Speedway and gave him a boost in a still contentious championship points race. 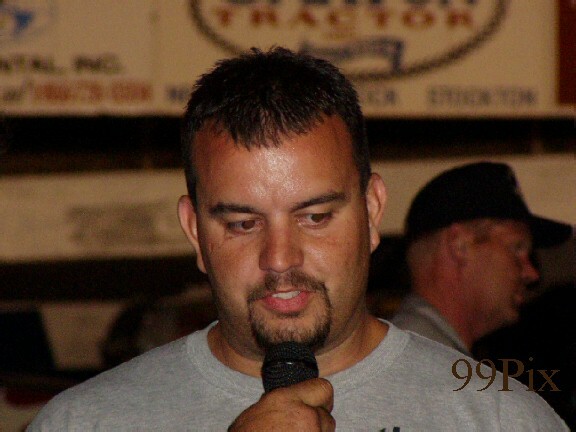 Gary Shafer Jr. rounds out the top five with 747.
series on Sept. 3 and the last is the Sept. 17 double-points night. 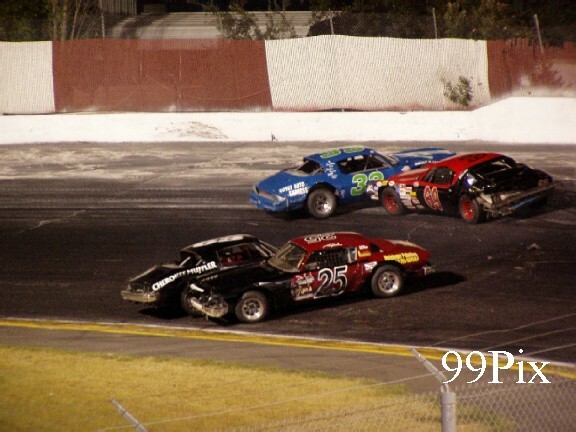 Race car driver John Moore said he got so fed up with the officiating at Stockton 99 Speedway, he decided to retaliate his own way. The Granite Bay resident said Sunday he intentionally put 9-inch rims on his Western Late Model on Saturday. Drivers are only allowed to have 8-inch rims. It's the second week in a row officials found something wrong with Moore's car. 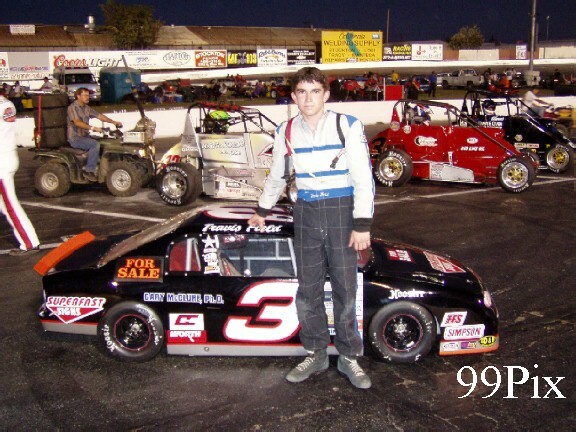 He won the Aug. 13 race before officials eventually disqualified him for having illegal parts. 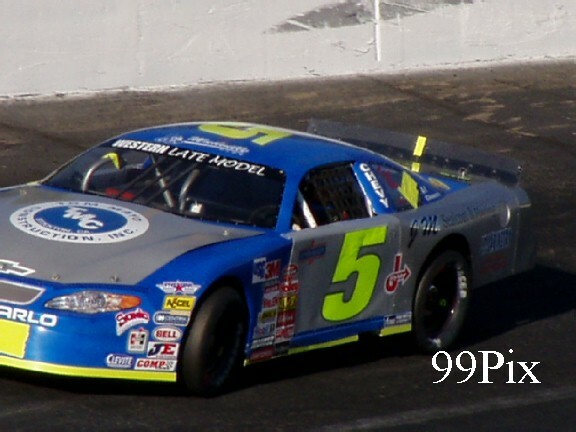 On Saturday, Moore won the 50-lap event, with points leader Pete Anderson Jr. finishing second. Moore left his car in the technical inspection area, filed a protest against Anderson, and quickly left the track. He alleges that officials don't like him and have been out to get him all year. "I knew it was coming," Moore said of the discovery. "The officials were behind the whole thing last week, just to mess with me. I thought I'd give them a real (problem) Saturday." 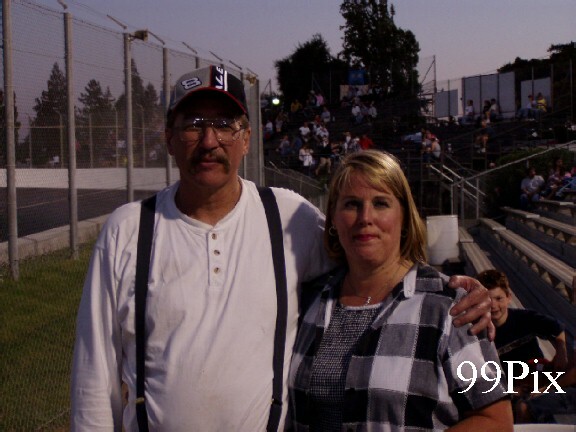 For now, there is no official decision from Stockton 99 Speedway. Track officials said they want a certified technician to check Moore's rims. Anderson's motor will also be inspected for potential violations. Track steward John Weimer said both cars will be checked thoroughly. He denied Moore's claim that track officials had anything against the driver. Everything seemed to check out on everyone's cars in pre-race inspection to ensure fairness for everyone. The size of the rims is not easily identifiable. "The rules are the rules," Weimer said. "Everything is frozen now. We want to cover ourselves and have everything checked for legalities." Moore has denied using illegal parts Aug. 13. The protest against Anderson was to prove a point, he said. "Everybody does something," Moore said. "It's a matter of what the officials want to focus on and who they want to target." Anderson said he got his motor straight from the manufacturer and hasn't touched it. He's consistently finished in the top five all season. 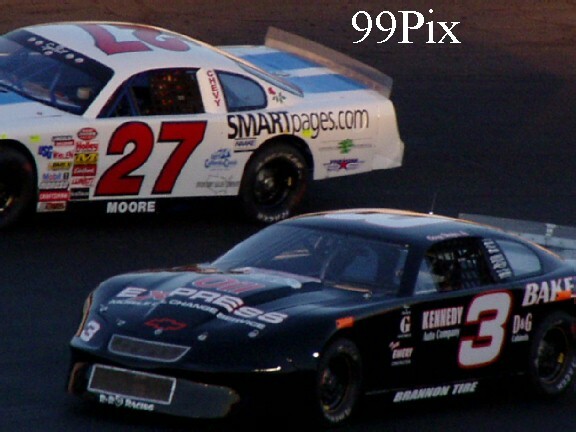 Moore earned 50 points for winning Aug. 13 and drew within nine points of Anderson in the standings. But track officials penalized him those 50 points after the discovery of the illegal parts later in the week. "It really irritated me when they took all the points away from me," Moore said. "I have the same motor in my car. There were no performance-enhancement parts (Aug. 13). It's the brand name (they didn't like)." Track officials say 9-inch rims spread the tire, making the outside stiffer and giving the car more traction. The extra inches on each tire allows drivers to carry more speed in the corners. Anderson said he'll be happy to have his car inspected to prove it meets specifications. He said the only thing he's done to his car all year is change the valves once, with approved parts. If Anderson's car checks out, he would have a hefty lead over San Rafael's Allison Duncan and Turlock's Chris Monez. 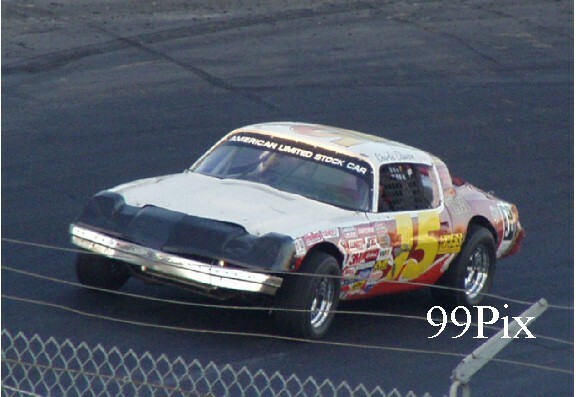 There are two Western Late Model races left, both 100-lappers, on Sept. 3 and 17. The last one is a double points race. Moore said he plans to keep racing the rest of the season. He knows he's out of the points race, but wants to be there for the fans. "I don't care how many points they give me credit for," Moore said of the officials. "I no longer care what they think. I'm the people's champion." 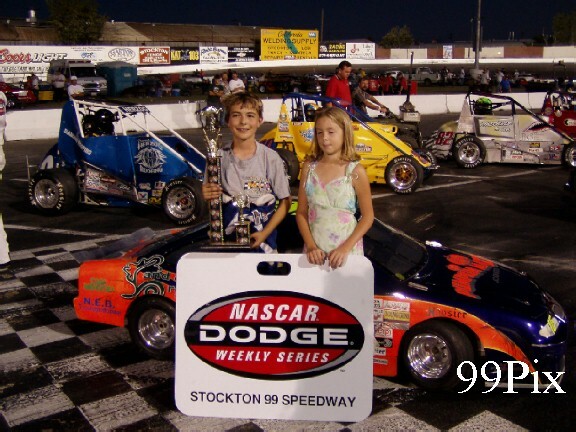 STOCKTON -- For the second week in a row, John Moore took the checkered flag at Stockton 99 Speedway without wining the race. 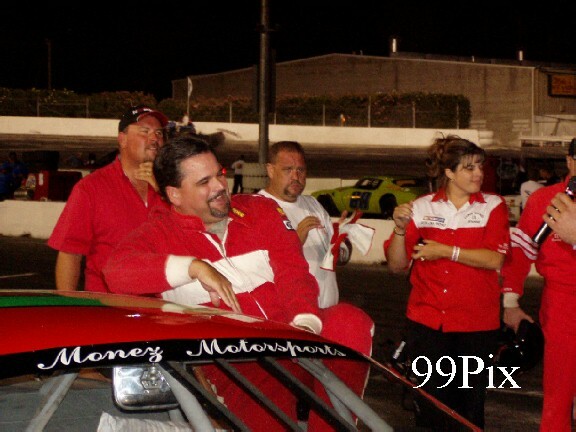 Moore was disqualified again in the NASCAR Western Late Model main event at Stockton 99 Speedway. Pete Anderson Jr. #5,of Stockton is currently listed as the winner of the race, but the results are unofficial because Moore has filed a protest against Anderson, who will have his engine checked out by officials next week. Moore was disqualified because his tires were too wide. On Friday, it was announced that Moore wouldn't get the win in the Aug. 13 race because of illegal parts in his engine. It's Anderson's fourth win if his engine is declared legal. "I'm not worried about that," Anderson said. "We're fine. We're legal, and he can protest if he wants." 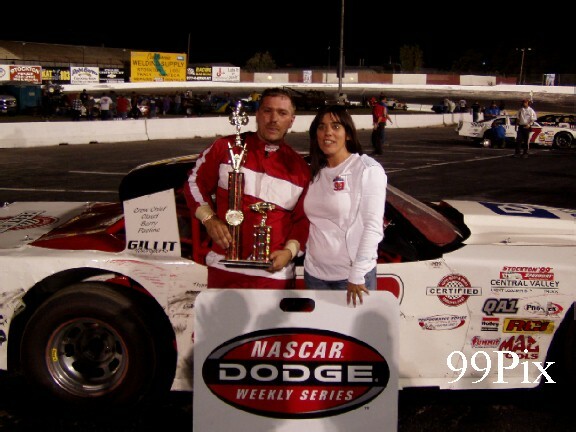 Donny Darter of Stockton won a rough and messy American Limited Stock Car main event. 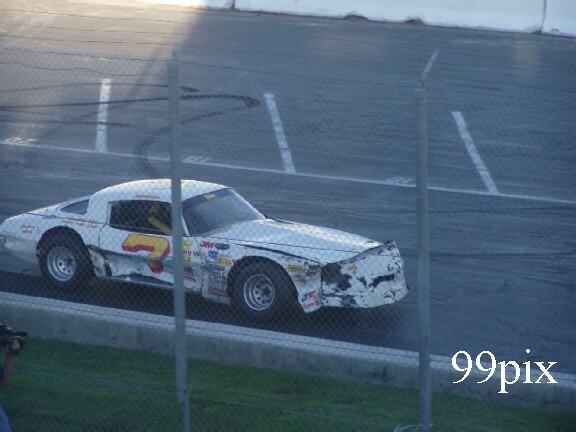 The Stockton driver has struggled with brake problems the past four weeks, but finally got his fifth race of the season. He had not won a race July 9. "We've been having a tough time recently, but we were able to put it together," Darter said. "We really wanted to get win No. 5." Jacob Gomes, #16 of Manteca used a daring move on the final turn of the final lap and won his 12th consecutive Mini Cup race in California Modified Racing Association action. Gomes, 12, has won every race this year, but it looked like his streak was going to be broken by #3, Travis Fields of Rocklin as the field entered the 30th lap. Gomes had been trying to set up Fields for the pass for several laps, but finally got his chance as the leaders entered turn No. 4. 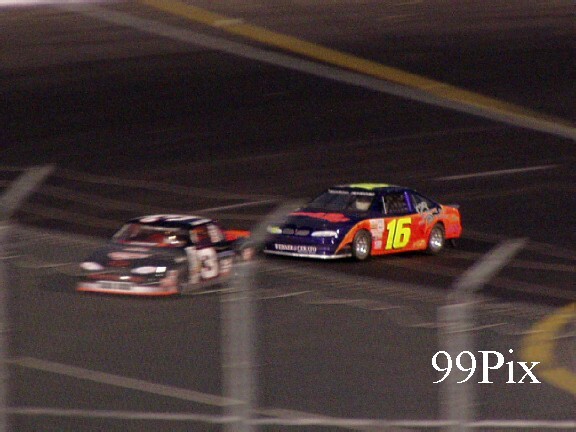 He bumped Fields as he passed him and took the lead about 25 feet before the finish line. "I didn't mean to bump him as hard as I did," Gomes said. "I got into him a little hard. But luckily he didn't spin." (left) U.S. Rep. Richard Pombo, R-Tracy, was the grand marshal of the event. He started the WLM main event, and drove two exhibition laps in the car of driver Chris Monez of Turlock. Benny Moon of Shingle Springs won the Ford Focus main event. 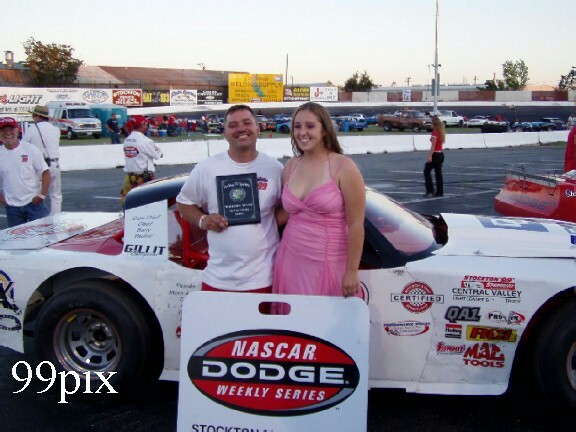 STOCKTON, SATURDAY, AUG. 20 -- Stockton's Donny Darter worked his way through dogpile-after-dogpile of American Limited Stock Cars to capture the checkered flag and win his fourth CL BRYANT sponsored 30-lap feature. Thirty-one ALSC's showed up Saturday night, after qualifying, two dashes and an B-main, 20 ran in the caution-filled main. 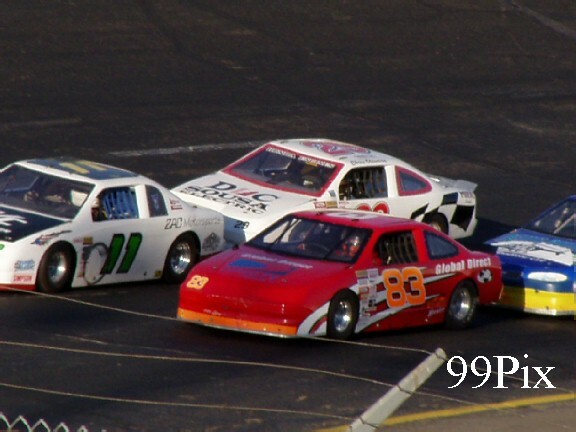 Darter started seventh, worked his way up to the front by the fifth lap and held off all challengers. 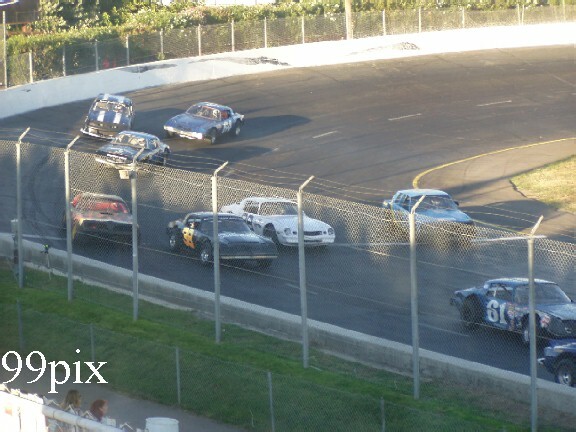 Between the green and checkered flags, five caution and a single red flag flew, which involved more than eight cars that tangled on the straights and in the turns. Stockton's Joe Allen and Escalon's Darrell Hughes both put on quite a show for the crowd. Allen started ninth, but was able to pull out a second place finish, while Hughes was able to claw his way from an eighth-position start to capture third place. Prior to the feature, division points leader #15, Charlie Clawson, of Modesto, retook the track fast-time record when he qualified with a 15.596. 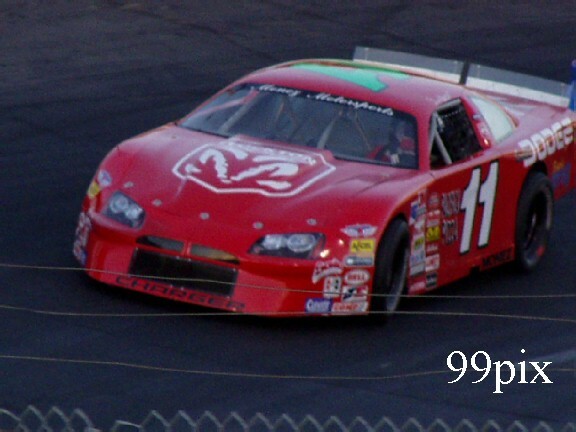 Clawson started 10th, but was able to advance to fourth by the end of the race. 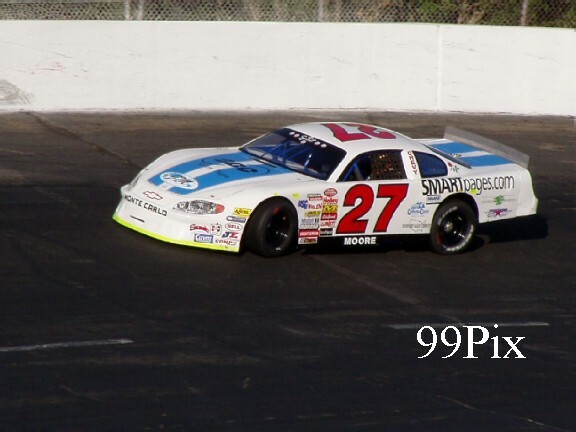 Stockton's #75, Chad Holman started in the fifth slot and advanced to second by the second lap. 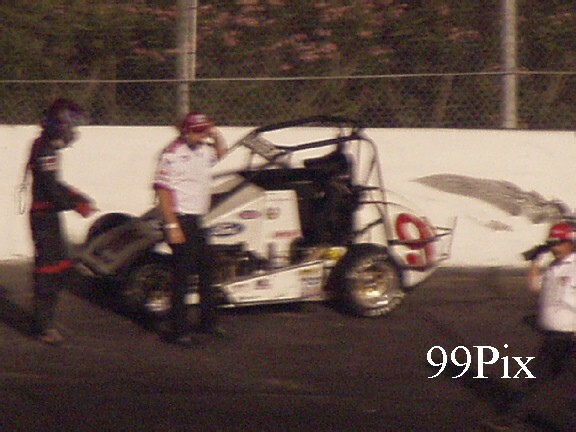 Holman dropped back to third by lap-10 when a collision on turn-2 sent him to the back on the restart, despite that, he was able to work his way back up and finish fifth. 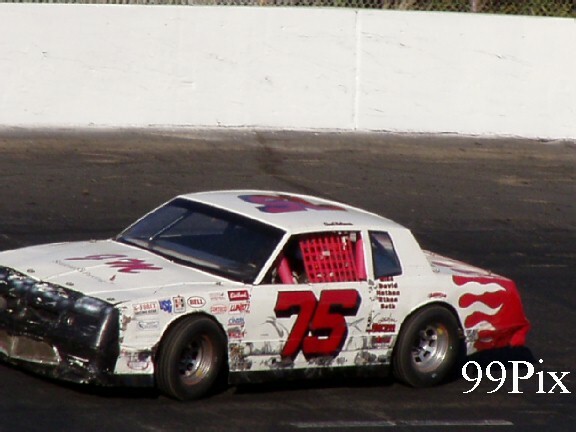 Chad's Dad, David Holman won the semi-main in a battered and bruised #7. Congressman Richard Pombo (R-Stockton) was the WLM grand marshal. 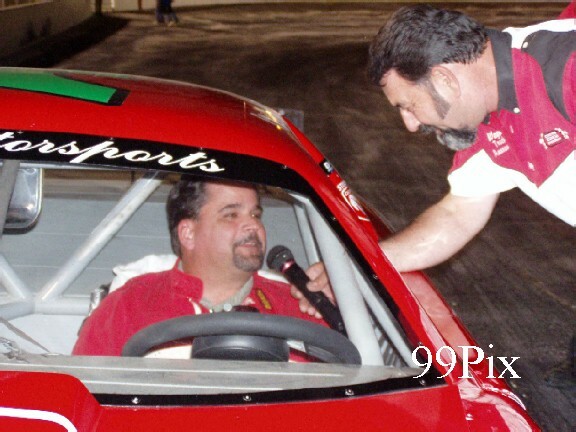 Before the race he spoke the crowd of over 1,300 during a front-straight interview with track announcer Wayne Pierce, took a couple of hot-laps in Monez' STOCKTON DODGE late model Intrepid, gave the "Start your engines" command and then waved the green flag. 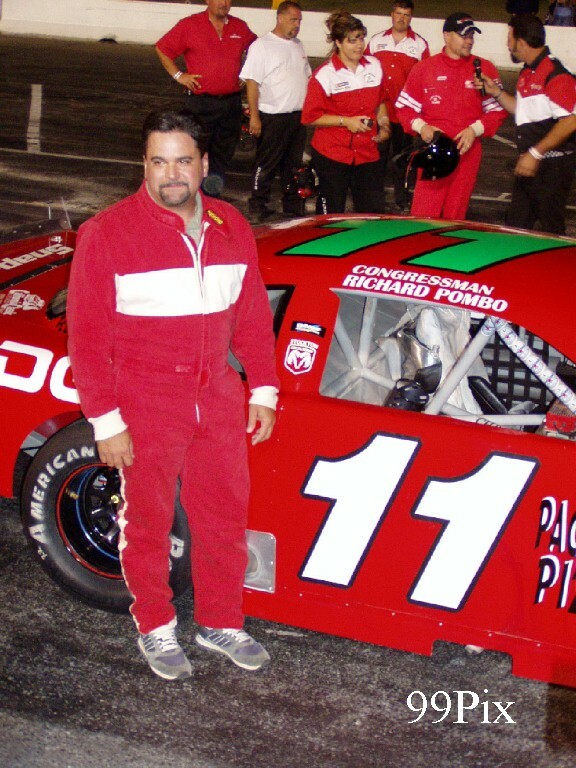 The congressman, who attended the race with family members and staff, said that he had a great time, was intrigued by the power of the late model Dodge and hoped to return to track in the future. 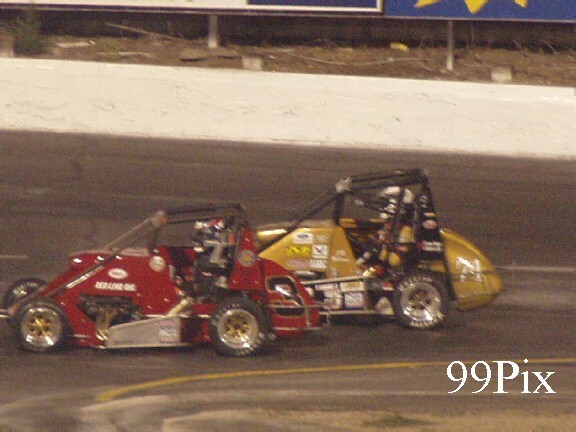 The always exciting USAC Ford Focus Midgets were back on the fastest NASCAR quarter-mile oval west of the Mississippi. Benny Moon took first, Jace Meier finished second, Jeff Sakowicz came in third, Robbie Whitchurch ended fourth and Cameron Veach came in fifth. The future stars of the California Mini Racing Association we back again in their mini cup cars. Jacob Gomes came in first, Travis Field finished second, Robert Czub third, Tommy Florini fourth and Chris Olivera fifth. 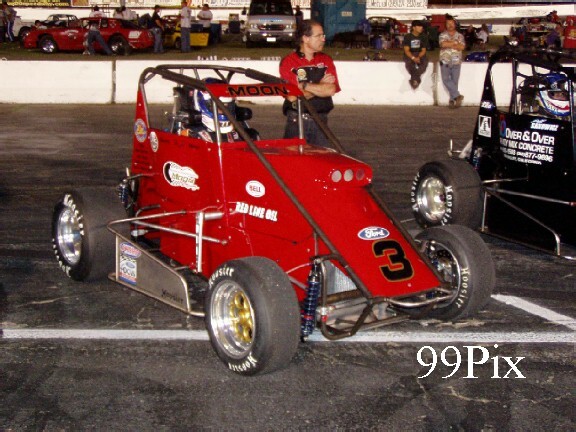 INDIANAPOLIS - Benny Moon, #3, of Shingle Springs, Calif. piloted a Ron Sutton's Winners Circle entry to victory in Saturday night's 30-lap USAC California Ford Focus Pavement race at the Stockton 99 Speedway in Stockton, Calif. Moon led the final four laps to beat Jace Meier, Jeff Sakowicz, Robbie Whitchurch and Cameron Veach. 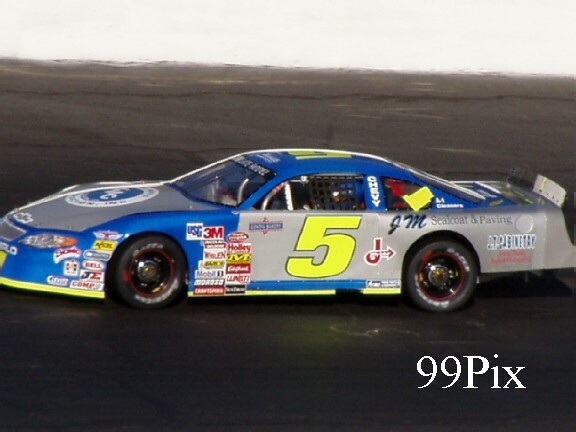 Pavement Series points leader Alex Harris, #54, led the final 26 laps but finished eighth. The victory was Moon's second this season.